1. Cut the mango pcs and blend the mangoes to make a puree. 2. In a kadai, cook the mango puree and add sugar. 3. Cook the puree till it starts to coat the pan on side and no lumps are formed. 4. Spread the puree on a plate and smoothen it out by moving the plate. 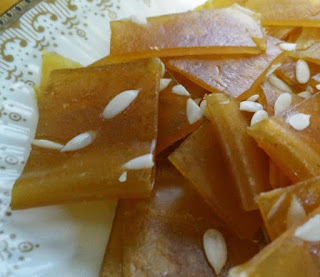 Spread the melon seeds on top. 5. 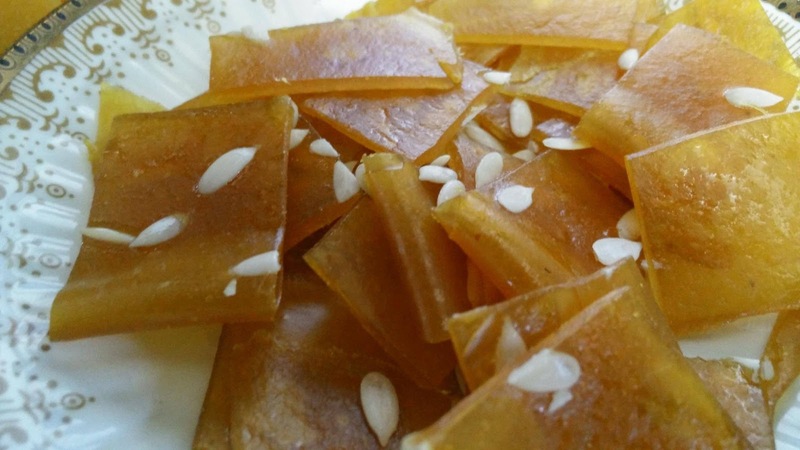 Allow the aam papad to dry and keep it in well aerated place till the edges of the aam papad starts to loosen up or the puree gets dried completely. 6. With a help of knife loosen the edges and peel off the aam papad from the plate. 7. Fold it to make it thicken and cut small pcs in the desired shape.